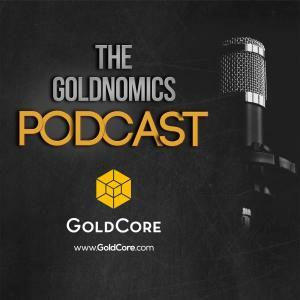 Goldnomics Podcast Ep2 –Is This The Greatest Stock Market Bubble In History? In this the second episode of the Goldnomics podcast we ask the question; “Is this the biggest stock market bubble in history”. GoldCore CEO Stephen Flood and GoldCore's Research Director and world renowned precious metals commentator Mark O'Byrne in discussion with Dave Russell. We discuss what is really driving the markets to new record heights, the less than stable economic fundamentals and central bank interventionist strategy that it is based on. We ask is there anything that central banks have left in there ammunition box to halt a slide when it starts and avoid a crash. Cutting through the financial markets jargon and looking at the risks to your investment portfolio that aren't spoken about in the mainstream media. 1:25 Why despite low volatility, low interest rates, low inflation, tax cuts and good employment numbers we are calling this the greatest stock market bubble in history. 2:13 Why we are in the bubble cycle. 4:04 The remarkable performance of the S&P 500 and the Dow Jones, are they to be believed? The Dow up 1,000 in a week! 6:00 Why if you look under the bonnet of the fundamentals you find a rusty old engine. 6:06 Leverage, political and monetary interventions and irrational exuberance are all setting alarm bells ringing. 6:45 They’ve coined a new phrase for it – “Rational Exuberance”! 7:02 What’s fundamentally underpinning market sentiment, is there anything real? 7:35 The economic number that is the canary in the coal mine. 7:58 The fallacy of the economic numbers that we are shown. 8:20 A most shocking statistic – 15% of the American population are included in this incredible statistic. This doesn’t bode well for the state of the US economy. 9:10 The work of John Williams at Shadowstats revealing the truth behind the numbers. 9:30 What we mean when we talk about the Goldilocks economy. 9:45 Looking behind the employment and unemployment numbers. The shocking truth about manufacturing jobs in the US. 11:08 How the central banks created a wall of liquidity to fuel the everything bubble. 15:05 The massive growth in global debt since the credit crisis/debt crisis. 15:30 The importance if the debt to GDP ratio – no longer earning a return on capital. 17:05 The economic Ponzi scheme created by the central banks. 19:20 How the everything bubble effects everyone. Why what happens in the US has implications globally. 20:20 Margin debt and borrowing to invest, reminiscent of 1929 as are the moves in the stock market. 22:40 The silent danger of the passive investors. 24:20 Are we abandoning the fundamentals, is anyone actually looking at these individual companies anymore? 24:40 The growth and impact of ETFs and the lack of price discovery. 27:25 Algorithmic trading technological enhancement or a danger to free markets. 27:50 That tabloid-like Bloomberg headline. 28:55 What happens to market leading stocks in a downturn, are they safe? 30:20 FANG Stocks – Facebook, Amazon, Netflix & Google in a downturn. 30:40 Are the central banks out of ammunition and powerless to stop a crash? 31:50 Opening the Pandora’s Box of printing money, is hyperinflation assured? 34:20 Another way to look at quantitative easing. 34:25 The difference between printing money and printing currency. You can’t print money – gold is money. 35:45 How stocks are a hedge against inflation, but probably not the best one. 36:35 Should we be looking at higher allocations to precious metals in this climate? 37:40 The impact of the cashless society and what this means for gold and the importance of gold ownership. 38:05 How quantitative easing is effectively taxation except that it is much more insidious and the case for gold. 39:15 The danger of the cashless society and the digitization of the economy. 40:30 What actions you should be taking in to prepare for an in the event of a crash. 41:55 The role of cash in a portfolio during times of hyperinflation, bank bail-ins and stock market crashes.